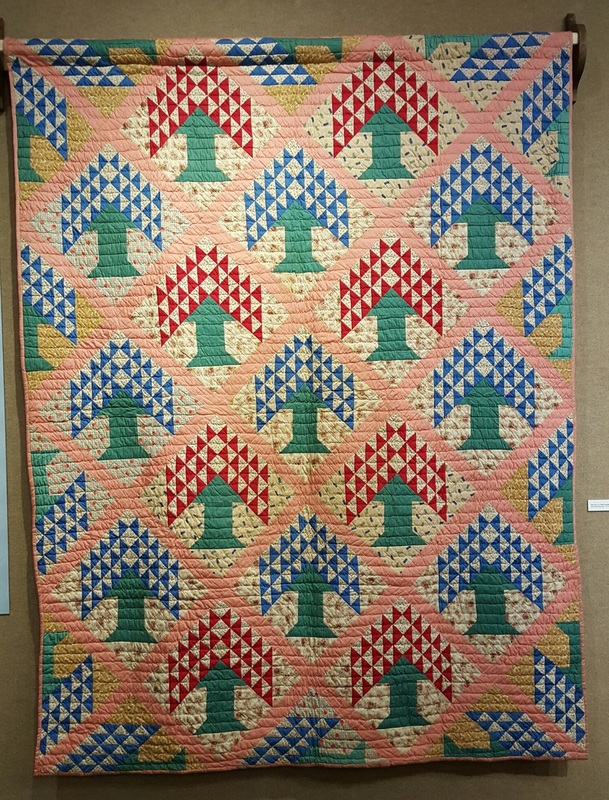 From January 12 through December 31, 2016, the Lynchburg Museum displayed 20 quilts made between 1802 and 2010 along with samplers, needlepoint, and related items. The pieces come from the Lynchburg Museum collection, local lenders, and other museums including the Quilt Museum of Virginia, Amherst County Museum, Campbell County Historical Society, and Bedford Museum. Early settlers in Central Virginia brought quilt making talents and designs from Europe. Primarily serving a functional purpose, quilt-making was also an expression of artistry and skill. The quilting bee became an important social activity for women of all ages as they worked together. It allowed them to share stories of life, death, marriage, and childrearing while teaching essential skills to girls. Samplers were also a teaching tool for young women. By the mid-nineteenth century, quilts became intricate works of art as well as functional pieces. Quilting remained a popular social activity through the early twentieth century, especially in rural communities. Quilts continued to be given as wedding gifts, on the birth of a child, and as a thank you. With the Great Depression in the 1930s, families returned to quilting as a way to save money. After declining in the 1950s and 1960s, quilting again gained popularity during the American Bicentennial of 1976. Today, quilts are made for functional purposes, as works of art, and in support of a variety of causes.